In Cold War (Zimna wojna)—as he did in his previous film, the Oscar-winning Ida (2013)—Polish-born director Pawel Pawlikowski demonstrates a mastery of black-and-white cinematography that may be unparalleled among living filmmakers. His shots are perfectly composed, incredibly detailed monochromatic portraits framed in the old 4:3 Academy ratio, hearkening back to an earlier era of artistry. Within these squarish frames, Pawlikowski (with his brilliant director of photography, Lukasz Zal) moves the camera with startling deftness to locate characters, and illuminates the beauty and complexity of their faces as well as anyone since Carl Dreyer. These films have few incidents, and fewer speeches, and what little they have of either seems almost to intrude on the timeless purity of Pawlikowski’s images. It is an adjustment, to watch this kind of film, accustomed as we are to cinema of the relentlessly loquacious, the brightly colored, the overwritten. But once we adjust our eyes, expectations, and tempos to the confident rhythms of Pawlikowski’s films, we almost want to rescue them from the gaudy tyranny of plot and dialogue. We settle in, and gratefully let him remind us that film is nothing but a series of photographs, and that cinema is an art form in which narrative and character and meaning can all be painted entirely with light. Loosely based on the turbulent relationship of Pawlikowski’s parents, Cold War is a love story that plays out against a political backdrop, or—from an equally valid perspective—it is a political story that articulates its viewpoint through two characters in love. The film opens in Poland in 1949, as Wiktor (Tomasz Kot, excellent here) and his producing partner Irena (Agata Kulesza) are traveling the countryside seeking talent and tunes for a new musical revue, Mazurek, which will highlight “authentic” Polish folk art. In the opening scenes we see the real faces of the Polish peasantry the Mazurek is supposed to honor, and hear the soul of a troubled country expressing itself through painfully raw and rustic music. And then there’s Zula (Joanna Kulig). When she auditions for the Mazurek she is neither the best singer nor the best dancer—not as pure or authentic a talent as the other girls, as Irene points out—but Wiktor is smitten immediately. “She has something,” he argues. “Energy, spirit. She’s an original.” And he’s right: beautiful, mercurial, and fierce, Zula is a proto-star with a star’s practical, slightly scheming nature. “A bit of a con,” Irene astutely observes, but it doesn’t matter: Wiktor is quickly, and hopelessly, in love. So is Pawlikowski, and so is the camera, and so are we. Kulig, in her third film with the director—she had a small but memorable part as a singer in Ida—is a revelation here. 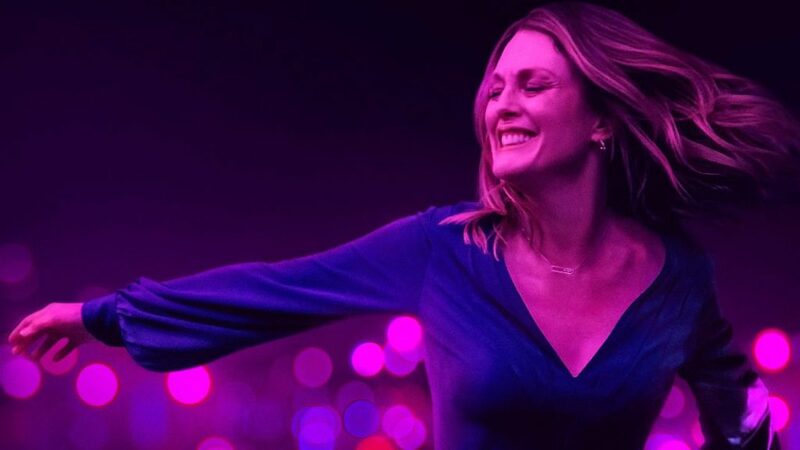 She absolutely owns the screen, embodying a minimally (though not thinly) written character with contained energy and heartbreaking humanity. With an old-school beauty, a sly humor, and a luminous face that is most dangerously expressive in silence, it is easy to see why Pawlikowski has called her his “muse”: It is hard to imagine a more perfect subject for this particular director’s timeless cinematic artistry. 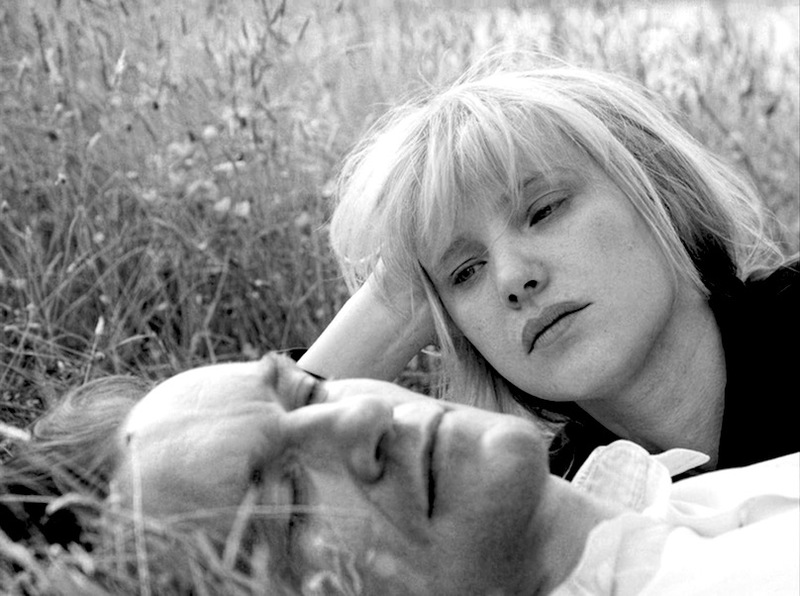 The story of Cold War is deceptively simple: Wiktor and Zula come together, break up, and come back together, again and again, over fifteen years and across several countries. Obviously, the film’s title refers to the political forces that threaten this relationship that plays out on both sides of the Iron Curtain. (In one of the key scenes of the film, Wiktor defects, walking alone in one stunning shot from East Berlin to West, after Zula has failed to join him.) But it also refers to the endless tension in which these two people hold one another, unable to either live together or stay apart for very long. Passionate love, Pawlikowski reminds us, is always a state of mutually assured destruction. But I was also, on first viewing, somewhat frustrated. Pawlikowski’s screenplay uses such sparse dialogue—and such long narrative ellipses—that it can feel like we are getting only fragmented and unsatisfying snapshots of a relationship. Important conversations seem to be left out; motivations are left unexplored; the ending, when it comes, strikes one initially as abrupt, even unjustified. 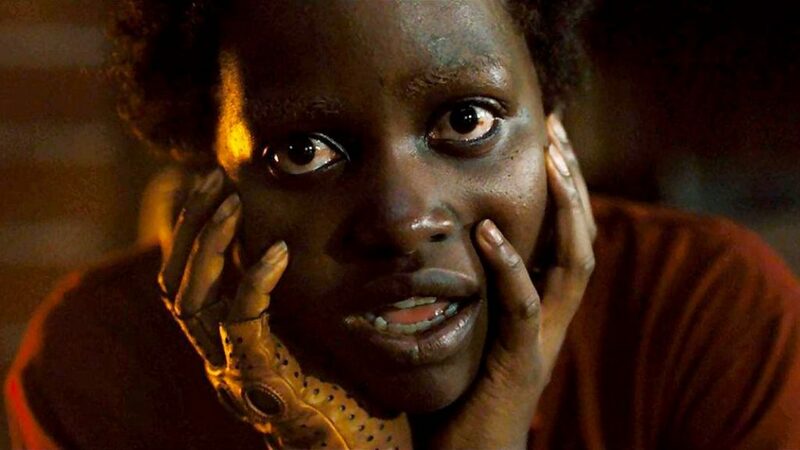 I went back for subsequent viewings because I couldn’t decide whether the film’s artistry and performances were giving this love affair a scale and a weight that were insufficiently earned in the script. And I’m glad I did. On subsequent viewings, I stopped looking for answers in the “text”—I often forgot to read the subtitles, in fact—and allowed Pawlikowski’s confident cinematic spell to fulfill its purpose and work its magic. 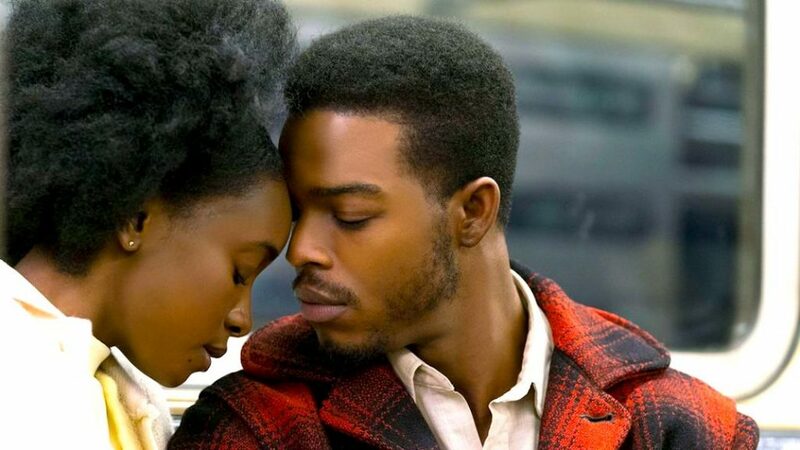 I began seeing the incredible depth of both lead performances—the emotional investigation taking place beneath the surface of every scene—and I realized that, somehow, no two characters I watched all year felt more complexly real than these. And it was in these subsequent viewings that I began to feel the rich historical and aesthetic subtext that resonates through this deceptively simple love story: not just from the overt depictions of the repressive Stalin regime, but from subterranean currents that suggest deeper and more elusive soundings. There are profound and important ideas at work here, about the appropriation of culture, the despoiling touch of art, the mixed blessings of progress and freedom. There is, I suspect, the faint music of allegory playing beneath Pawlikowski’s realist surface, with Zula embodying a nation ambiguously straddling the line between past and future, between tradition and temptation. There is even, one feels, an effort on the director’s part not merely to explore his parents’ contentious relationship, but also his own relationship to his homeland—which he himself abandoned, and then returned to—and through that, perhaps, to interrogate the haunting, seductive notion of home itself. It is difficult to articulate the precise power of Pawlikowski’s achievement in Cold War. Like most great art, it feels like a found thing, revealed, not made: a work that has always existed, and one that can always be revisited without ever being exhausted. There are, to be sure, few artists with the director’s exquisite skill, but there are fewer still with his remarkable trust. For it is Pawlikowski’s trust—in his camera, his actors, and most of all his audience—that allows Cold War to play out as a true and transcendent cinematic experience, not just as a dramatization of an over-explained text. Pawlikowski reminds us that cinema, at its best, is a collaboration between auteur, actors, and audience: It is (like love, like patriotism, like loyalty) an act of tremendous faith. Cold War, a gorgeous, compact miracle, more than justifies our faith: it restores it.